Free meals, discounts and vouchers for the person who books the table! 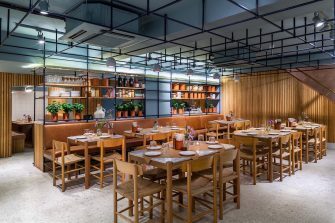 Every month our restaurant partners who feature on the site provide exclusive special deals and offers for Private Dining Room customers. These deals are for the person who books the table, not necessarily the person who attends the event. So if you’re a PA or an event organizer you can benefit from fantastic discounts and free meals too! Special £65 Per Person Package To Book Private Dining Event For 30 Guests Or More At One Great George Street. 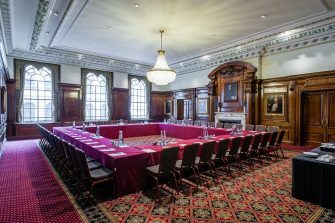 Discover why One Great George Street was recently crowned ‘Best Private Dining Venue’ at the London Venue Awards by booking their special £65 package. 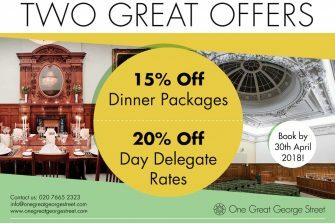 Up to 15% off dinner packages or 20% off day delegate rates for new bookings made at One Great George Street before 30th April 2018. Meal for two including a bottle of house wine to PAs booking their company festive events at OPSO Greek restaurant in Marylebone W1.